Bon Scrapatit Designs: something old, something new, something borrowed and the bride sings, "blue". a goody for y'all too! something old, something new, something borrowed and the bride sings, "blue". a goody for y'all too! I was finally able to get Ethan and April’s wedding video clips downloaded to my computer! YAY! I did a little editing in Windows Movie Maker, and was SO happy to have the audio turn out as good as it did, all things considered! This was my son, Luke’s, first time holding Mark’s video camera, let alone manning it, so please excuse the horrible blurriness through about the first half, along with a bit of shakiness! The boys and I miss April singing casually about the house, so this is a VERY priceless piece of video to us! Due to the boy’s desire to spend time outside of the barn congregating, they missed the other requests she sang during the karaoke portion of the wedding reception! She also sang a duet with another gentleman present. There were also the songs that she and Ethan sang to each other that I would loved to have had recorded! Ethan sang to April, “Just To See You Smile” by Tim McGraw and April sang to Ethan, “Halo” by Beyonce. April has said that she will record, “Halo” for me and I can’t wait to hear it! I mentioned that I would truly value your input on this one! If you like April’s rendition of, “Blue”, there is a place in the upper right-hand corner of the video, when it is playing, where you can hover your mouse and click on the word, "like” and/or you may leave a comment here! What do y’all think? If I am addressing anyone who has any experience with either video or audio editing and such, I would be truly thankful for any suggestions on how I can remove background vocals, if this is even possible, remove a reverb without harming the vocals and such. I guess what I am asking is if any of you know if there is a way I can clean up the audio in this video. I have already ripped the audio from the video and made a separate mp3 file to work with in a sound editing program I downloaded. I was not able to find anything to smooth over that reverb you hear near the beginning. But then, I don’t understand all of the options in the program either! LOL! Thanking you in advance for you input. The following is a layout I created with a couple of the photos that the boys took at the wedding using the lovely, *Irish Eyes* by Snowsmoon’s Design! Once again, Dawn has been kind enough to let me give y’all a “scrapatit” made from my layout! Thanks again girlfriend! Photos: Courtesy of the Walton Boys! A VERY heartfelt “thank you” again to all of you have left comments, support, thoughts and prayers for Joshua and family. I shall try to give you an update tomorrow, along with a Friday Freebie! I was given a partial update just a bit ago from Robert, but our phone call was interrupted due to needs at work so I will get the full update and, hopefully, post tomorrow. I will tell you that he is doing much better and the skin graft to his hand has taken – WOOT! 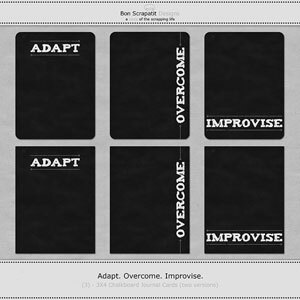 Stay Current With What Is On The Menu Here At Bon Scrapatit Designs! Blogs I Love To Keep Up With! CoffeeShop "Frederick" Fine Art Texture/Overlay/Paper Set! Check out the April Buffet! Project Mouse | Vibes and the FANniversary KICK OFF!!!! It’s About Time::Yesterday – The Lilypad Blog Hop Stop Here! 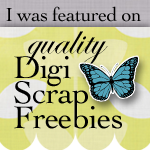 SugarHillco’s 2017 iNSD freebie blog hop! March Personal Planner set up! Why do I have 2 planners?? Intranet or Email Newsletter: Which is Best for Employees? Last Chance–50% off Retiring Sale! 3rd Birthday Extravaganza – Winners! Is there life beyond 2012? Happy Leap Day and a freebie! New Designs from Fayette...and a FREEBIE! All About Me And A Bag Of Chips! Digital addict, graphic designer, memory preservationist, visually eclectic and genetically indecisive - Bon Scrapatit! IT"S SCRAP HAPPY HOUR 24/7 IN SCRAPLAND! Thank you for visiting me - Bon Scrapatit!